Inside the device, there is 1.5GHz Quad core processor which can score good points in Benchmark tests as well. To boost the speed, we've 2 GB RAM inside. 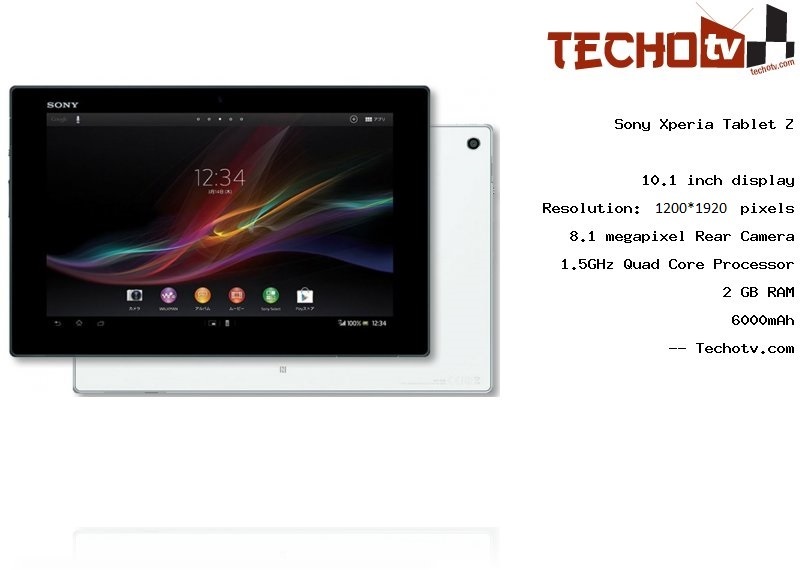 The screen resolution of Sony Xperia Tablet Z tablet is 1920*1200 pixels and the display is of 10.1 inch. The total pixel count leads to density of 224 ppi. It measures 266 mm x 172 mm x 6.9 mm. 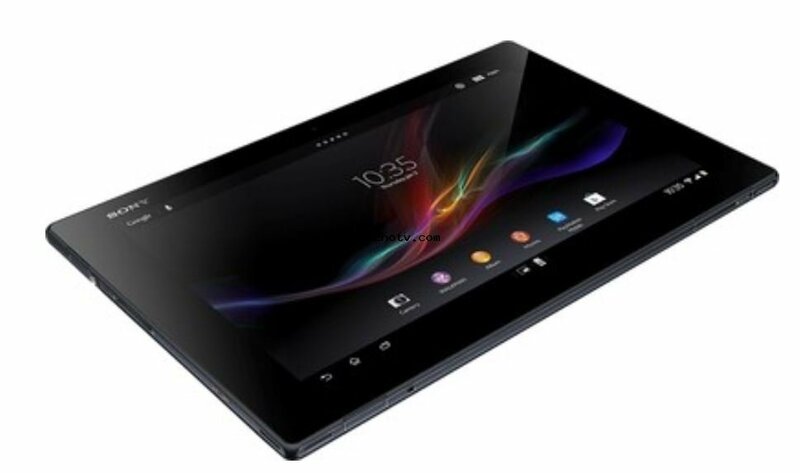 It has internal memory capacity of 16 GB. The primary camera at the back of device is of 8.1. There is 2.2mp (1080p video recording) camera at front for video-calling and other needs. 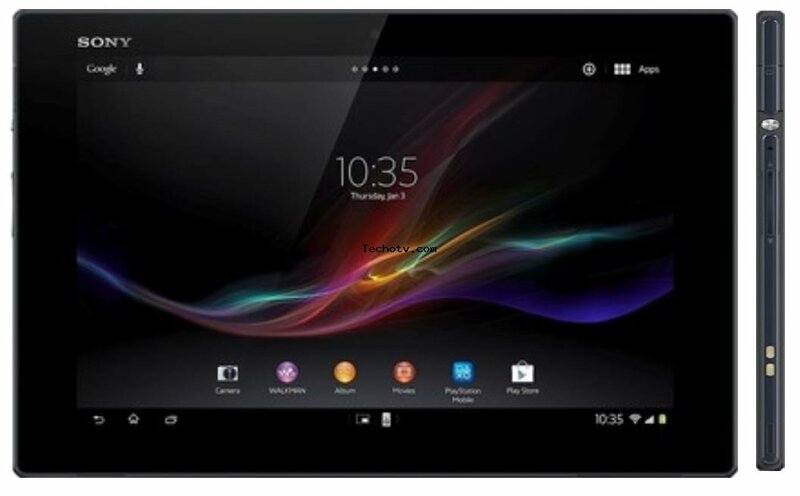 Sorry, The price of Sony Xperia Tablet Z is not available at the moment. Our team is keeping an eye on online stores to get you the latest price as soon as available. Camera has Auto-focus, touch-focus, Exmor R Sensor, Burst mode etc. Display is powered by Mobile Bravia Engine 2. IP57 Certified - Dust-proof and water-proof. Battery Backup :Standby - upto 1230 hrs on 2G, Up to 1270 hrs on 3G. Multimedia upto 10hrs.